<Beautiful Days>, directed by Yoon Jae-Ho, was a low-budget film that I believe was also an independent one. The movie stars the veteran lead actress Lee Na-Young, along with Jang Dong-Yoon. The supporting cast consists of Oh Kwangrok, Lee Yoon-Jun, and Seo Hyun-Woo, amongst others. The film was a very slow drama with hardly any lightness to it. Because it is a smaller movie, there aren’t a lot of screenings even in Korea. The film was widely released on the 21st of November 2018, but had previous screenings at festivals, such as the Busan International Film Festival. Jen-Chen, a boy living in China of Korean descent, travels to South Korea in search of his mother. 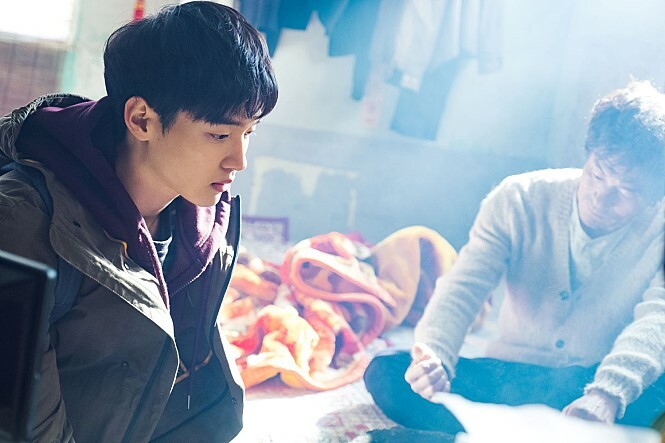 The mother (Lee Na-Young) abandoned the family when Jen-Chen (Jang Dong-Yoon) was a young boy. As the father’s (Oh Kwangrok) last wish, who’s very ill, he hopes to see his wife one last time. And this is why Jen-Chen travels to Korea to find his mother. When he encounters his mother, he sees that she’s found a new man, and is working at a bar. This enrages Jen-Chen, who’s already been living with a burning resentment towards the mother. What makes matters worse is that the mother doesn’t even seem the least bit surprised to see her son for the first time in 14 years. However, after spending a short time with his mother and returning to China, he starts to realize and learn of the hidden reasons of the abandonment. Also, Lee Na-Young’s performance in this was incredible. The veteran actress isn’t in many productions of recency, the last one was back in 2015, and she doesn’t appear in a lot of TV shows either. This is why it made her acting that much more powerful, I believe, in this. Just from the trailer you can get a sneak peak at her compelling performance. Furthermore, I thoroughly enjoyed the color schematics of the film. 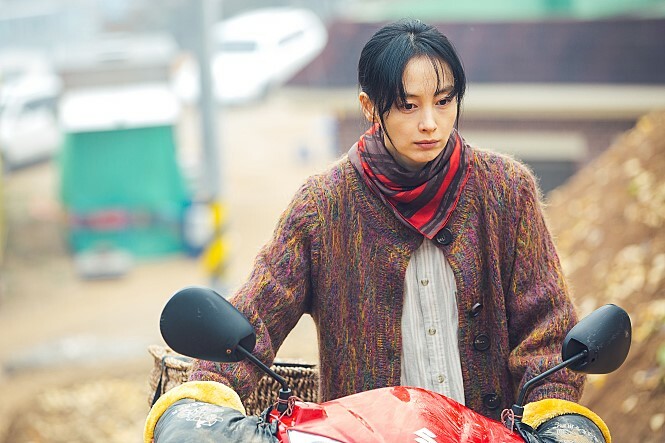 From the redness of Lee Na-Young’s hair with the light blue hue of the background, to the overall complexion of the cinematic tone, the coloring of the movie added real value to the film, in terms of the cinematography. Also, the movie wasn’t as sad as I thought it’d be. I honestly thought this would be another one of those sappy, depressing movies that tries to force the tears out of its audience (coughcough* <Happy Together>). But to my surprise, it didn’t do this. It tried to show more of a realistic aspect to “life” and the hardships that some people have to go through. Thank goodness… I utterly hate movies that tries too hard to get the viewers to shed tears. As I mentioned above, the film had a very slow progression. I think this is the norm in movies like this; the genre of “independent films” in Korea tends to be very quiet, have slow progressions, and tries to give more of a “real” aspect to its stories (e.g. <After My Death>). It definitely has a more defined target, and a niche market for it. But to be honest, I wouldn’t consider myself included in this pool. Larger-budget films definitely do try to target and satisfy more of a broader audience; thus, includes several elements such as comedy, action, and sexual appeals. I certainly fall in the latter, and look for more of a wider range in entertainment in films. <Beautiful Days> had absolutely zero comedy; I can’t recall one scene that had humor. However, this is just a personal preference, and I know a lot of people do enjoy the indie-film-style. That being said, there were a lot of parts that I believe could’ve been cut to fit more of that “wider target audience” range. A lot of scenes could be seen as “useless” and not adding real value to the film to some. If it were to be made for a less-niche of a market, a lot of parts could’ve definitely been either shortened or cut out in entirety to keep it shorter and more engaging. The movie was 104 minutes long, but felt way longer (I kept looking at the time because it felt so long…). And I mentioned that the last 30 minutes had a drastic change in mood and went from being a drama to a thriller. Although I did enjoy the suspense that the latter part had, I can’t say that it was worth the slow, quiet time of the first part. I almost fell asleep in the middle of the film… All in all, it was a very serious, quiet, and depressing film that wasn’t really fit for my taste. Overall, <Beautiful Days> was a very slow movie with frequent parts that filled the room with silence. Although the acting was great, the story was very real, and the cinematography was beautiful, I can’t say I enjoyed the film. This is because it did not have the various elements that I look for in a film (balance of comedy, action, story, etc. ), but only focuses on being emotional. Furthermore, it was way too slow for my liking.